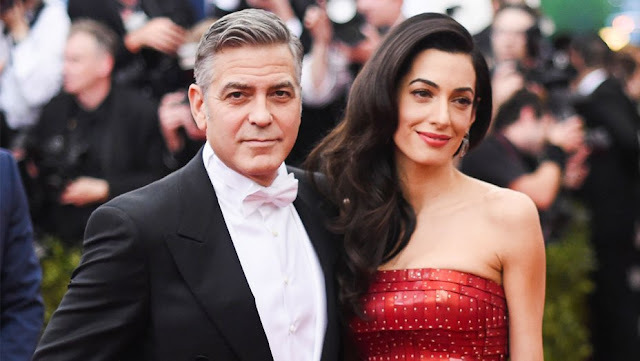 George Clooney is gearing up to sue France’s Voici magazine after they published photos of his twin babies with wife Amal on the front cover. The photos, taken by paparazzi, featured the couple, each of them carrying one of their babies. The magazine said the picture was snapped in Italy’s Lake Como where Clooney has a home. Voici also boasted the images are reportedly the first published photos of the twins. An official snap of the twins has yet to be released by the Clooneys. The couple welcomed twins Ella and Alexander on June 6. Previously, the longtime Hollywood bachelor recently married the international human rights lawyer in 2014.